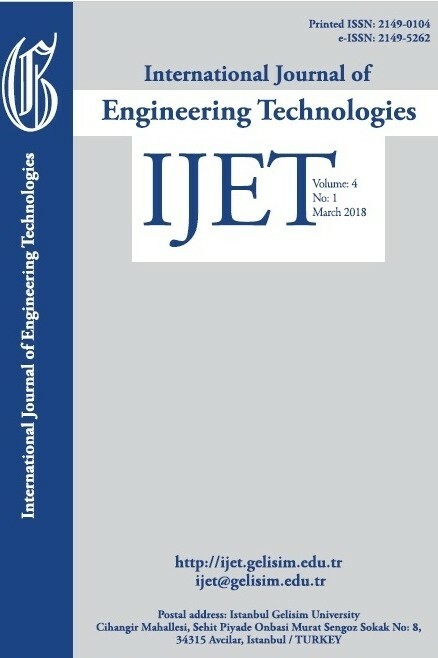 Abstract-The study presented in this paper reveals the limitations of the current fixed radio spectrum allocation policy as a major bottleneck for availability of radio spectrum for emerging wireless services, devices and applications as a result of its contributions to current radio spectrum artificial scarcity and underutilization problems. In investigating these problems scientifically, series of radio spectrum occupancy studies were carried out in developed nations of the world with little or none in most under-developed nation like Nigeria. In order to ascertain the usage profile of radio spectrum in under-developed nation like Nigeria, actual radio spectrum usage in three different locations in South-West Geo-political zone of Nigeria was carried out. The study was conducted using Aaronia AG HF-6065 V4 spectrum analyzer. The results obtained like other similar studies conducted in other parts of the world show that the usage of radio spectrum varies with time, space and frequency. The results also show that the actual radio spectrum usages in the three locations for the frequency range of 80-2200 MHz vary from 0.08% to 64.4%. In addition, the paper enumerates various ways of converting the current wasting spectrum holes to wealth as well as some economic advantages of dynamic spectrum access as a flexible radio access policy that can replace the current fixed radio spectrum allocation policy without compromising the performance of the existing radio being governed by the fixed spectrum allocation policy. I. Budiarjo, H. Nikookar, L.P. Ligthart, (2008) “Cognitive radio modulation techniques”, IEEE Signal Pro. Mag., vol. 25, no. 6, pp. 24-34. M.M. Buddhikot, K. Ryan, (2005) “Spectrum management in coordinated dynamic spectrum access based cellular networks”, Proc. of 1st IEEE Int. Conf. on Dynamic Spectrum Access Networks, Baltimore, USA, November 8-11, pp. 299-307. G. Ding, Q. Wu, Y. Zou, J. Wang, Z. Gao, (2014) “Joint spectrum sensing and transmit power adaptation in interference-aware cognitive radio networks”, Trans. on Emerg. Telcomm. Techn., vol. 25, no. 2, pp. 231-238. J. Wang, G. Diang, Q. Shen, F. Song, (2014) “Spatial-temporal spectrum hole discovery: A hybrid spectrum sensing and geolocation database framework”, Chinese Sci. Bulletin, vol. 59, no. 16, pp. 1896-1902. R. Shukla, D. Sharma, (2013) “Estimation of spectrum holes in cognitive radio using PSD”, Int. J. Inf. and Comp Techn., vol. 3, no. 7, pp. 663-670. A.S. Kadhim, H.M. AISabbagh, (2012) “Detection the spectrum holes in the primary bandwidth of the cognitive radio systems in presence noise and attenuation”, Int. J. Comm. Networks and Sys. Sci., vol. 5, no. 10, pp. 685-690. S. Haykin, D.J. Ehomson, J.H. Reed, (2009) “Spectrum sensing for cognitive radio”, Proc. of the IEEE, vol.97, no. 5, pp. 849-977. G. Zhao, J. Ma, G.Y. Li. T. Wu, Y. Kwon, A. Song, C. Yang, (2009) “Spatial spectrum holes for cognitive radio with relay-assisted directional transmission”, IEEE Trans. on Wireless Comm., vol. 8, no. 10, pp. 5270-5279. I.F. Akyildiz, W.Y. Lee, M.C. Vuran, S. Mohanty, (2006) “Next generation/dynamic spectrum access/cognitive radio wireless networks: A survey”, Comp. Networks, vol. 50, no. 13, pp. 2127-2159. S. Haykin, (2005) “Cognitive radio: Brain-empowering wireless communications”, IEEE J. on Selected Areas in Comm., vol. 23, no. 2, pp. 201-220. J.J. Popoola, R. Van Olst, (2011) “Application of neural network for sensing primary radio signals in a cognitive radio environment”, Proc. of IEEE AFRICON, Livingstone, Zambia, September 13 – 15, pp. 1-6. M. Chiani, A. Giorgetti, G. Liva, (2005) “Ultra wide bandwidth communications towards cognitive radio”, Proc. Electromag. Comp. EU. Workshop, Rome, Italy, September 19 – 21, pp. 114-117. B.G. Najashi, W. Feng, (2014) “Cooperative spectrum occupancy based spectrum prediction modelling”, J. Comp. Infor. Syst., vol. 10, no. 10, pp. 4083-4100. B.G. Najashi, W. Feng, C. Kadri, (2013) “An insight into spectrum occupancy in Nigeria”, Inter. J. Comp. Sci. Issues, vol. 10, no. 1, pp. 394-399. S.D. Barnes, P.A.J. van Vuuren, B.T. Maharaj (2013) “Spectrum occupancy investigation: Measurements in South Africa”, Measurement, vol. 46, no. 9, pp. 3098-3112. G. Ayugi, A. Kisolo, T.W. Ireeta, (2015) “Telecommunication frequency band spectrum occupancy in Kampala Uganda”, Inter. J. Research in Eng. and Techn., vol. 4, no. 9, pp. 390-396. B.G. Najashi, M.D. Almustapha, A.S. Abdi, S.A. Ashurah, (2015) “Spectrum occupancy measurements in Nigeria: Results and analysis,”, Int. J. of Comp. Sci. Issues, vol. 12, no. 4, pp. 156-165. M. Song, C. Xin, Y. Zhao, X. Cheng, (2012) “Dynamic spectrum access: From cognitive radio to network radio”, IEEE Wireless Comm., vol. 19, no. 1, pp. 23-29. J.J. Popoola, R. Van Olst, (2014) “A survey on dynamic spectrum access via cognitive radio: Taxonomy, requirements, and benefits”, Universal J. Comm. and Network, vol. 2, no. 4, pp. 70-85. M. Nekovee, (2010) “A survey of cognitive radio access to TV white spaces”, Inter. J. Digital Broadcasting, vol. 2010, pp. 1-11. Online [Available] http//www.hindawi.com/journals/ijdmb/2010 236568. Accessed on May 17, 2016. K.G. Shin, H. Kitn, A.W. Min, A. Kumar, (2010) “Cognitive radios for dynamic spectrum access: From concepts to reality, IEEE Wireless Comm., vol. 17, no. 6, pp. 64-74. J.M. Chapin, W.H. Lehr, (2007) “Cognitive radios for dynamic spectrum access- the path to market success for dynamic spectrum access technology, IEEE Comm. Mag., vol. 45, no. 5, pp. 96-102.